Fourth Edition of IPL is going to start today. On Friday 8th April First match is taking place between Chennai Super Kings and Kolkata Knight Riders in Chennai. 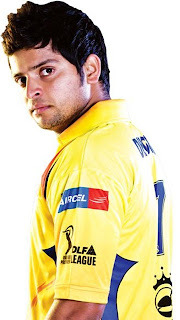 Chennai Super Kings is the Champion of IPL 3 and its Captain is M.s Dhoni. Kolkata Knight Rider failed to perform well in first three Editions of IPL. This year its Captain is Gautam Gambhir. In the past Chennai and Kolkata has faced each other 5 times and 4 times Chennai got the Victory. Many New Players are included in both the teams this year. Brett Lee, Brad Haddin, Eion Morgan and Jacques Kallis are playing for KKR. on other hand Chennai has got Morkel, Doug Bollinger, Bravo, Michael Hussey and Suresh Raina.